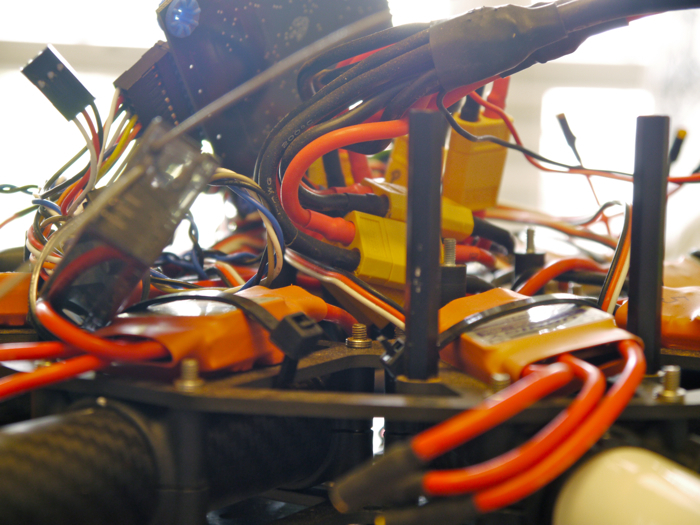 We took some time to do a systems check on the YBF multirotor. August and September provided us with a demanding shooting schedule, making copter maintenance a priority during downtime. Below are a few shots of the vital organs of our Cinestar 8. Our HoverflyPRO flight controller is firmly housed in the center of the multirotor. 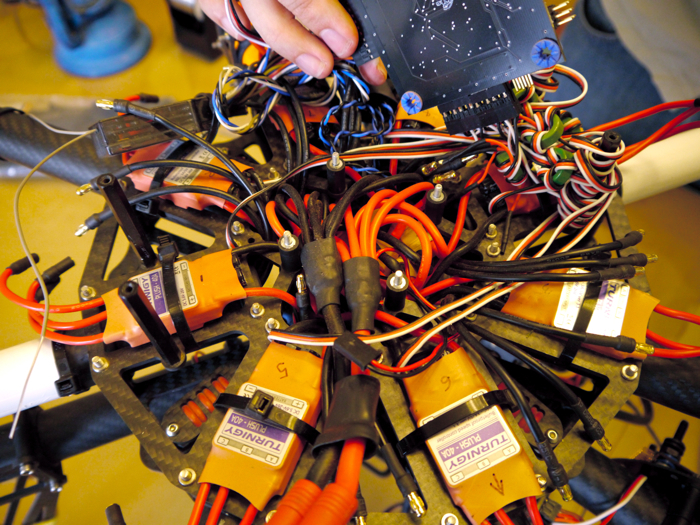 The flight controller is the brain of the copter. Ben, who constructed the copter himself, loosens the flight controller to have a better look inside the housing. All wires and components seen below are strictly part of the flight system. The camera system is an entirely different unit, housed below the copter. Every wire, connector, bolt and screw matter.